The legend! 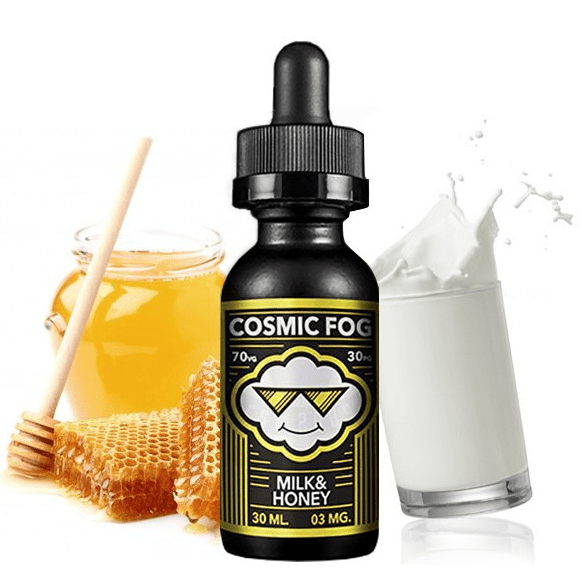 Cosmic Fog’s Milk and Honey is the flavor that launched an eliquid revolution! Close your eyes and imagine a vape lighter than air. The legend! Cosmic Fog’s Milk and Honey is the flavor that launched an eliquid revolution! Close your eyes and imagine a vape lighter than air. You see fields of puffy marshmallows as far as the eye can see…then the sky opens and sweet milk comes pouring down. When you open your eyes, you see a perfect layer of rich honey enveloping it all. It is Biblical, it is the land of milk and honey!